This new digital scale design for Joseph Joseph has a large, easy-to-read LCD display and simple controls. Rest the upturned bowl on the base and it’s ready to weigh in the following units – gms, lbs, ozs, fl.ozs, mls – up to a maximum capacity of 5kg/11lb. 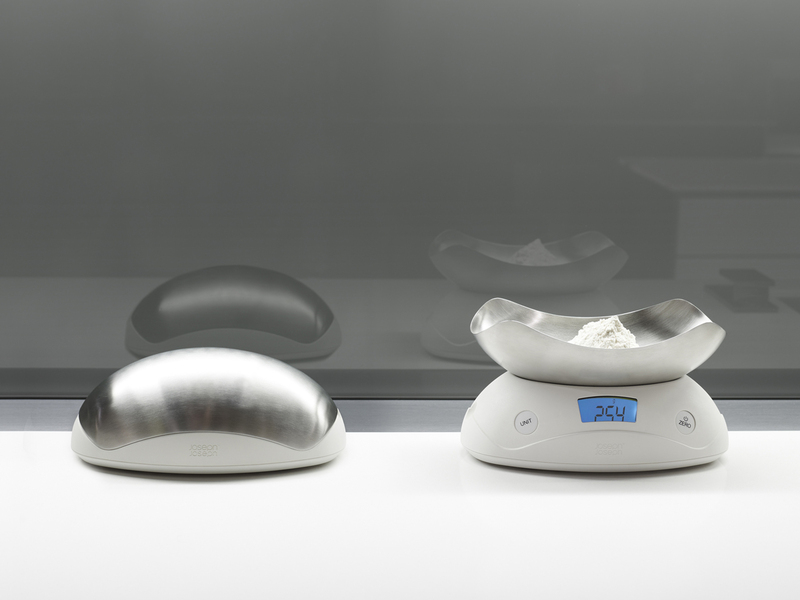 A convenient ‘add and weigh’ function allows multiple ingredients to be weighed in the same bowl during recipe preparation and an auto power-off feature maximises battery life.